RSMSSB Lab Assistant Recruitment 2018 - Apply Online for 1200 LA Posts in Rajasthan on Direct Recruitment. 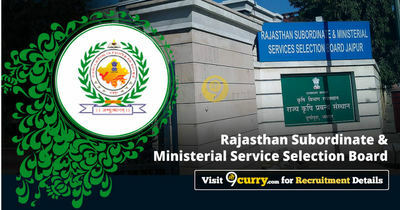 Online Applications are invited by Rajasthan Subordinate and Ministerial Service Selection Board from 14 Jun 2018 to 13 Jul 2018 till 12 Night for 1200 vacancies. RSMSSB Lab Assistant Exam Date 2019: Rajasthan Subordinate and Ministerial Service Selection Board has announced that the Exam Date of Lab Assistant will be held on 03 Feb 2019. RSMSSB Lab Assistant Exam Date 2019: Rajasthan Subordinate and Ministerial Service Selection Board the Written Exam Date for Lab Assistant will be held 02 Fab 2019. Eligible candidates may apply online at RSMSSB's website (direct link is given below) from 14 Jun 2018 to 13 Jul 2018 till 12 Night. Visit the 'Apply Online' and read the information carefully.